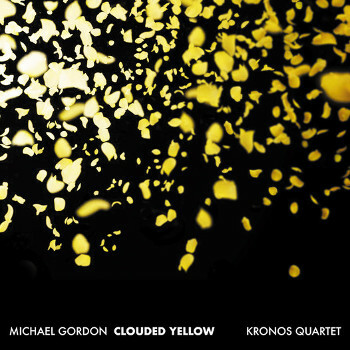 Over the course of a decade, Michael Gordon has collaborated with the world-renowned Kronos Quartet on a series of provocative works that have sought to stretch, bend, and otherwise reshape the boundaries of modern classical music. Clouded Yellow, the new album from Cantaloupe Music, assembles these works for the first time, perfectly encapsulating the breadth and complexity of this long-standing creative partnership. 'Michael Gordon builds inhabitable music', says David Harrington, artistic director, founder, and violinist for Kronos Quartet. 'His flooring holds much weight. You feel protected by the strong beams. There aren’t so many walls that claustrophobia ensues, but enough to partition the spaciousness and house the outlets and personal mementos. Lots of feelings and experiences happen within these handmade walls and under the sound roofing. You can walk inside Michael's musical buildings in wonder that he has found a way for music to stand in this way. Clouded Yellow, Potassium, The Sad Park, and Exalted: [these pieces represent] a tight-knit community we are fortunate to live in'. The string quartets of Michael Gordon, David Lang, and Julia Wolfe are available for purchase from Classical on Demand. Scores and parts are printed on no-batteries-needed paper. For digital performers — and those with no patience for shipping — device-agnostic non-printable Acrobat files are available for download.